This is a horizontal sundial 8'' (21cm) diameter made of solid marine grade brass, incoporating the Equation of Time. The Equation of Time is a graph that corrects solar time to clock time throughout the year. The Equation of Time was first calculated by the Moorish Arabs more than 1000 years ago.This dial is a traditional design giving plenty of space for personalisation above the equation of time. The brass dial is heavy, high quality marine grade and is precision engineered to give a beautiful finish. 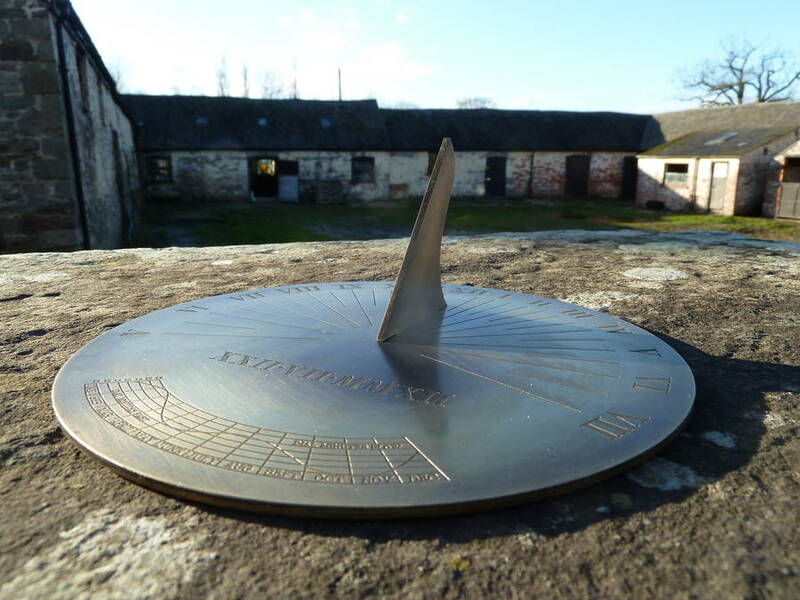 This is a finely crafted dial, made by Border Sundials who have been making sundials to commission for customers throughout the UK and internationally for 20 years. 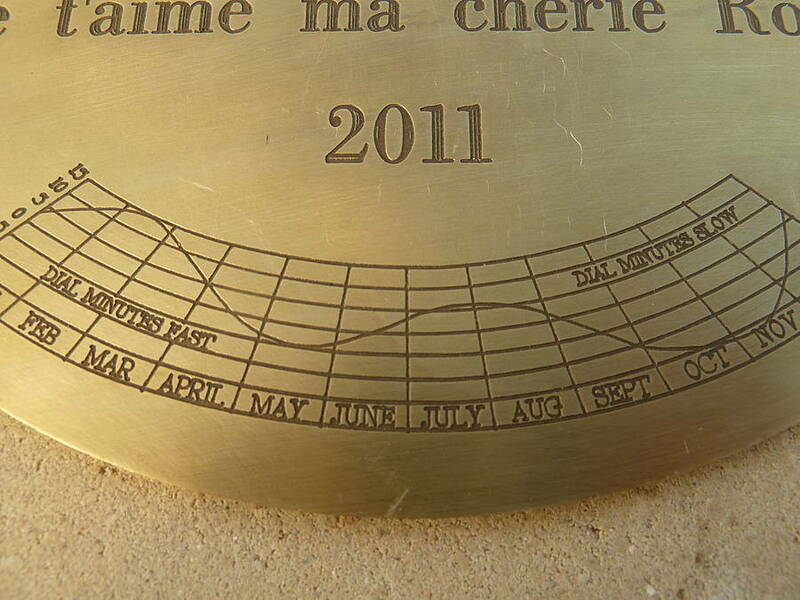 The text is engraved in Times New Roman and the hours are marked in Roman numerals. There is space for a dedication of approximately 150 characters across three lines. 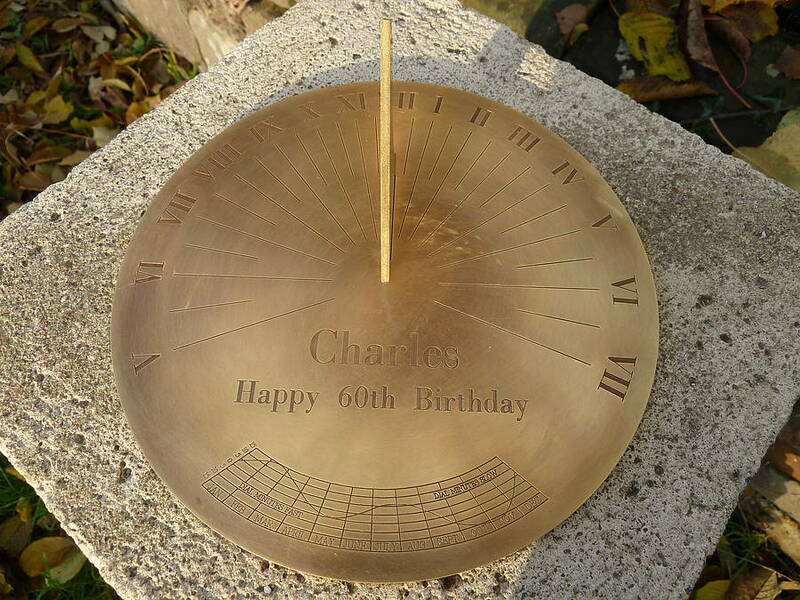 Each dial is unique and hand engraved with the words of your choice, making it a beautiful personalised gift for a special occasion or for a special person. 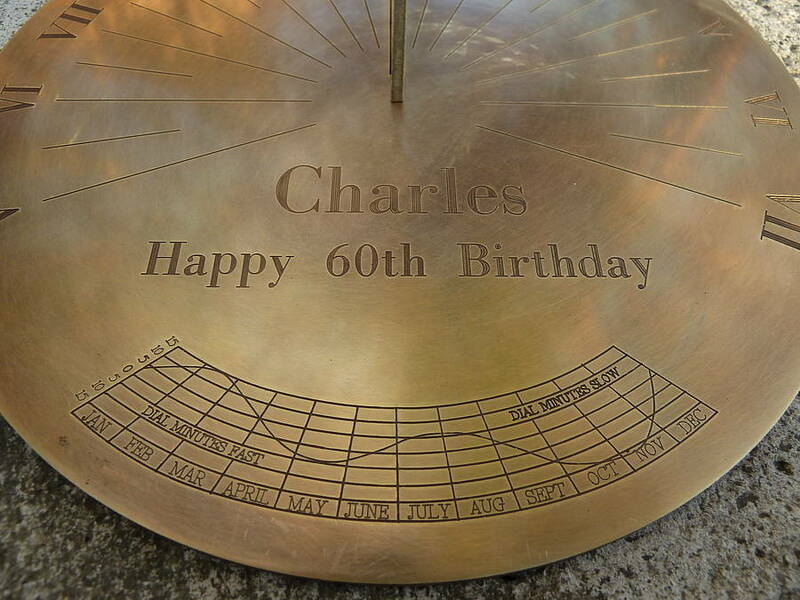 The dials are made for your exact location and will give you an accurate time reading for your latitude and longitude. The brass will slowly darken with age, adding to it's beauty. Please enter your personalisation in the box with a slash (/) between each line. The photographs show examples, and the mottoes shown will not be engraved automatically. Please be sure to mention all the personalisation that you require when you fill in the order form. We will always engrave exactly what you have requested. If in any doubt please contact us via the contact form. This product is dispatched to you by Border Sundials.